Apple has recently launched its highly awaited smartphones, iPhone 7 and iPhone 7 Plus that are going to be available to the users from 16th September, 2016. The Pre-ordering will be started from 9th September. The Price of base 32GB model of iPhone 7 would be $649 in USA. In order to buy 128GB and 256GB variants, users need to pay $749 and $849 respectively. iPhone 7 and iPhone 7 Plus will be shipped in Black, Jet Black, Gold, Rose Gold and Silver colours. iPhone 7 is the successor of the iPhone 6S and the design of the new phone looks very similar to the previous generation smartphone. However, few changes have been made. For instance, the antenna bands are now placed at the bottom and top of the back side which actually improve the shape of the phone. There are many other noticeable changes have been made in terms of functionality and specifications. Let’s have a look at them and see what makes the new iPhone better than its predecessors. 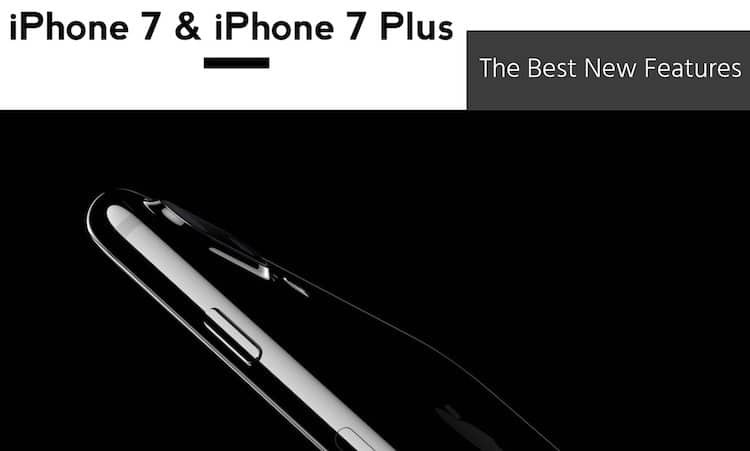 This article will talk about all the best new iPhone 7 features that make it different from predecessors. Finally the iPhone is water and dust resistance which will surely help it to compete with the Samsung Galaxy Note 7. 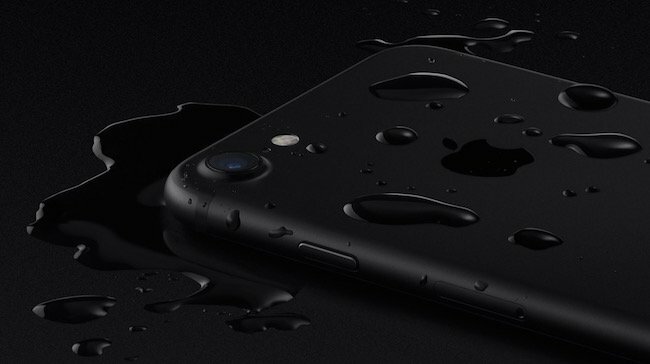 The new flagship smartphone of Apple comes with IP67 certification, which allows it to stay undamaged up to 30 minutes under 1 meter deep water. The new iPhone 7 boasts battery display with clear visual and has the ability to provide immersive multimedia experience to the viewers. 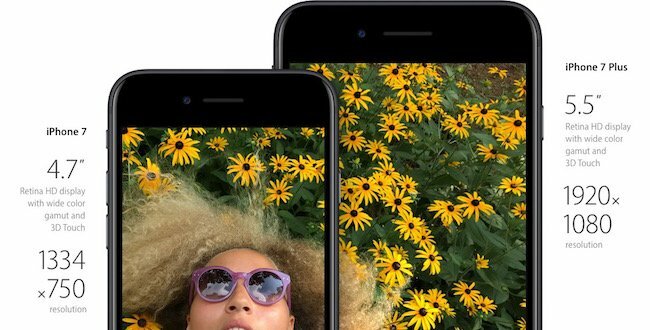 iPhone 7 and iPhone 7 Plus still features 4.7 inch and 5.5 inch Retina display respectively, yet the brightness has improved up to 25% and it also offers a range of colours which makes your images and videos lifelike. The also brags an updated 3D touch layer. 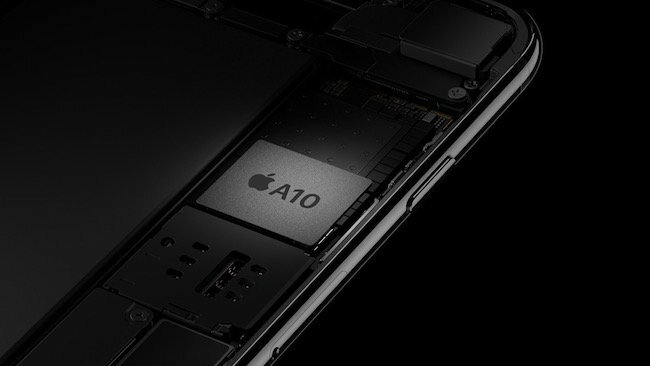 The new iPhone 7 is powered by latest Apple A10 Fusion chipset, which includes a high power Quad-core CPU along with 3.3 billion transistors. Out of four, two cores are dedicated for high-end performance and the other two for power efficiency. The power efficient cores run on 20% of the power required for the high-performance cores. The processor provides excellent speed which is almost double of the A8 and around 40% faster than the previous A9. The advance six-core GPU is also 50% faster than the previous model’s GPU, which was coupled with A9 and consumes only 66% of the power compare to that. The rear camera quality has improved a lot and now it consists a 12 MP resolution with f/1.8 aperture six-element lens along with optical image stabilization technology. The previous phone had an 8MP camera with f/2.2 aperture so now not just the resolution has upgraded, but the lens would also allow more light which will eventually let the user take better shots in any light condition. The sensor of the new camera requires 30% less power and performs 60% faster compare to the previous one. Instead of one, there are four LEDs to bring realism in pictures taken in dark environment. The front camera also packs 7MP resolution and has the ability to shoot 1080p video. 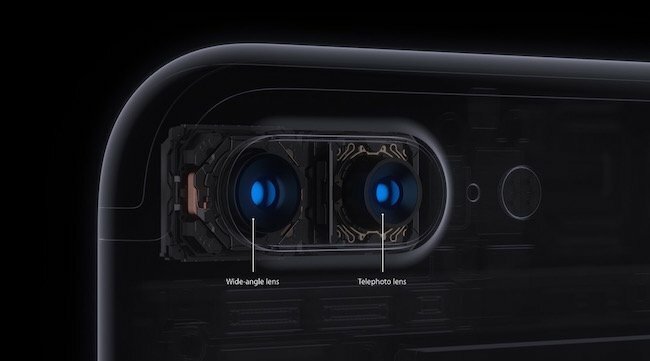 Not to forget dual-lens rear camera in iPhone 7 Plus where you can shoot upto 2x optical zoom and 10x digital zoom. One of the best feature of the new iPhone 7 is the strong non-removable Li-Ion battery which lasts 2 hours extra, compare to the previous iPhone 6. The battery can easily last for around 14 hours if you use it continuously for Wi-Fi browsing or talking on wireless 3G network. It provides up to 40 hours of wireless audio play, 13 hours of wireless video play and 12 hours of LTE or 3G net surfing. Speculations were going prior to the launch that the headphone jack will be removed in iPhone 7 and finally, after the launch they have proved correct. 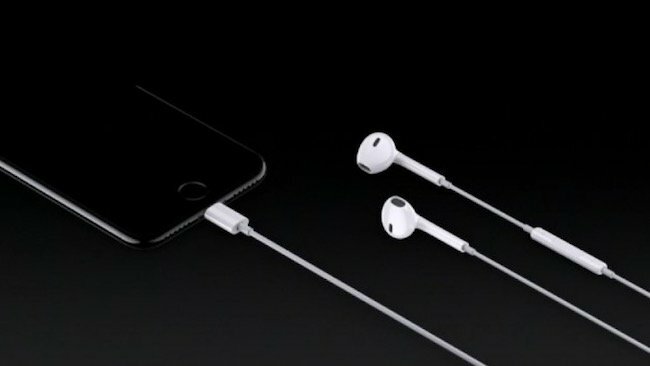 Users can now plug the headphones via the lightning ports or the 3.5mm adaptor which comes with the pack to use your old headphones. However, they can also use a pair of Bluetooth headphone to connect wirelessly with the phone if they want. 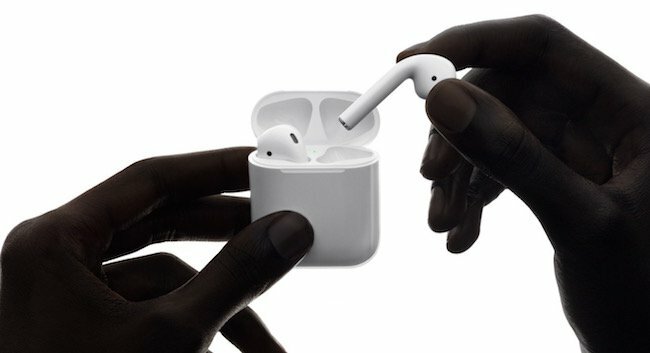 Apple has introduced a pair of new EarPod headphones and lighting cable. The new phone also comes with a lightning port to 3.5 mm convertor/adapter which allows users to connect their old headphone that are compatible with 3.5 mm jack. Alike the Force Touch trackpad used in MacBook, which allows trackpad to work like a small touchscreen the new iPhone 7 has also come up with a new Home Button that is pressure sensitive and responds to the sense of touch. 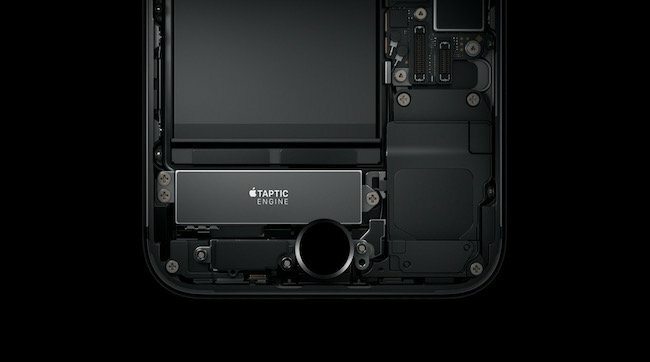 The new iPhone 7 features improved speaker quality and sports Stereo Speakers at the bottom and the top of the device. They are 2 times louder than the iPhone 6 and offer vast audio range, which is definitely a good news for the users as they can play songs or answer phone calls directly through speakers more effectively. You cannot expand the storage capacity iPhone 7 but what is the need of doing that? The iPhone 7 offers a good amount of internal storage which would be sufficient for most of the users. The base model packs 32GB internal memory and the other two variants offer 128GB and 256 GB respectively, i.e., doubling storage capacity from its predecessors. So, there are the new iPhone 7 features that make the new generation iPhone different from its predecessors. If you are thinking to upgrade, then the iPhone doesn’t seem to be worthy. Though, it has many useful features and camera, processor, storage capacity etc. have been upgraded, but still there is no remarkable difference between the previous generation iPhone and the new one. Those who are using the iPhone 6s and iPhone 6s Plus happily can stick to it for a longer time.